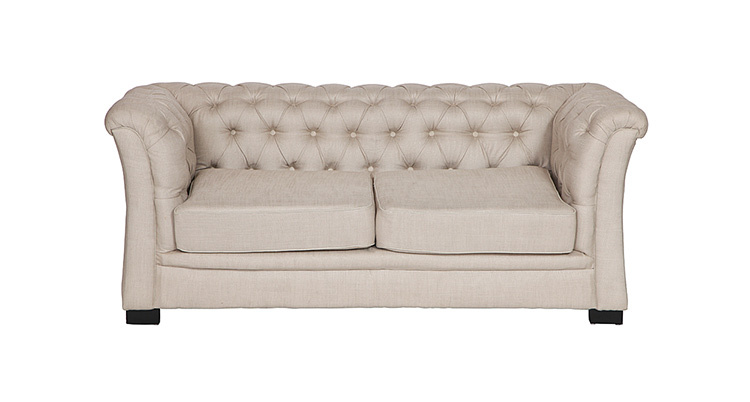 The Nob Hill Sofa is made of Beige linen fabric with button tufting and finished with wooden legs. We also carry the matching Nob Hill Loveseat – Beige and Nob Hill Chair – Beige. It is one of the components of the Nob Hill Lounge Grouping – Beige.